The holiday season is upon us. As we embrace the hustle and bustle of shopping, decorating and celebrating with family and friends, it’s also a time to reflect on how fortunate we are. We must also keep in mind those who have not been as fortunate and how it is our responsibility to help those in need of a helping hand. That’s where #GivingTuesday comes in. The third annual #GivingTuesday on December 2 is a national day dedicated to giving back. This year, the day will celebrate generosity, encouraging donors to give what they can. The Robert R. McCormick Foundation is in the midst of its annual holiday campaign with seven of our Fund Partners across the nation. In Chicago, WGN Radio Neediest Kids Fund and the Chicago Tribune Charities are raising funds for those in need across Chicagoland. The Los Angeles Times Family Fund is making a difference in the fight against illiteracy. Denver Post Charities, Orlando Sentinel Family Fund and the Sun Sentinel Children’s Fund are improving the lives of adults, children and families in their communities. And on Long Island, Newsday Charities promotes the well-being of those less fortunate. Giving to the Funds of the McCormick Foundation presents a unique way to make your charitable dollar go even further. For every donation, the Foundation will match it $0.50 on the $1.00, one of the few nonprofits to do so. All campaign and administrative expenses are paid, meaning 100% is granted to qualified local nonprofits working to help the disadvantaged in their communities. Visit the McCormick Foundation’s website, as well as our Facebook page to learn more. Be sure to follow along the #GivingTuesday conversation on Twitter and Facebook with the hashtag “#GivingTuesday and #WeMatchHalf. This #GivingTuesday, remember: “No gift goes further. And stays closer.” Support the Funds of the Robert R. McCormick Foundation. Most of us will celebrate our big 5-0 by sharing memories and stories with friends and colleagues. Head Start is no different. In honor of its 50 year anniversary, the National Head Start Association is sharing stories of Head Start Alums like Aida Conroy. In her endearing and informative blog, Aida shares how Head Start nurtured her from a curious toddler, to a young professional. She is now a member of the prestigious Teach for America and teaching the next wave of Head Start students. In a time of skepticism about government programs, isn't it refreshing to celebrate a program putting vulnerable children on a path to success! The following is an excerpt from NHSA’s blog, enjoy! 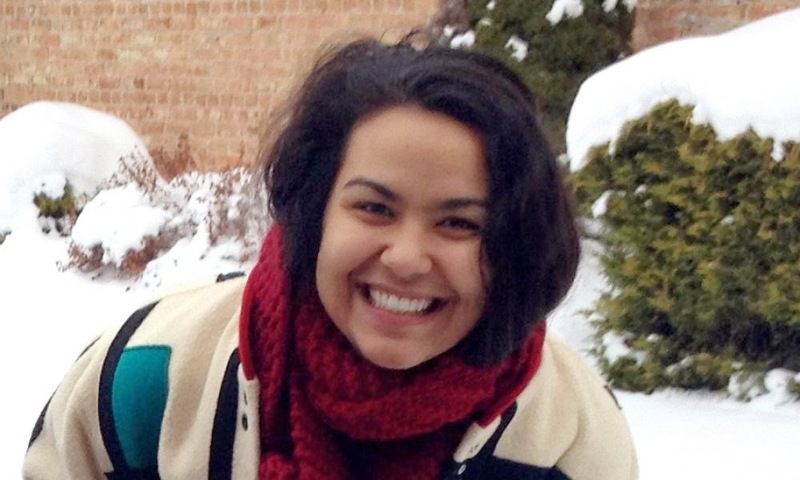 Aida Conroy, a Head Start alum, is currently a 2013 Teach For America corps member teaching at Casa Infantil, a Head Start center of Casa Central in her family’s neighborhood in Chicago. Twenty milk cartons arrive in my Head Start classroom for breakfast, lunch, and snack each day. For petite, clumsy fingers, still building fine motor skills, these cartons are quite difficult to open. All my students know the milk carton rule: in our classroom we attempt to open our cartons independently at least once. My children try any new way they can cook up! Only after trying can a student ask a friend or teacher for assistance. Because they face this challenge three times each day, my students have come up with ingenious strategies to open these cartons--far more interesting than my own pinch and pull method. There is “the pinky-pull,” where my students dig their tiniest finger to create a hole before ripping the opening; there is the brute force approach, when students use both hands to push up on the carton; and my personal favorite is when students pull off all four tabs to create square cups. It is one of my favorite parts of the day, watching them think through new techniques as their fumbling fingers push and pull at the carton openings. This reminds me of when I conquered the same task. The accomplishment of opening my milk carton for the first time by myself is one of my earliest memories. It happened at Head Start when I was in preschool. I used one hand to grip the bottom of the carton while my thumb and index finger pushed and pulled the tabs. I shrieked with delight when I was able to pull out the spout. Just like my students, I had tried and failed to open my milk carton each day, three times a day for months. The pleasure of this accomplishment made my chocolate milk seem as if it had never tasted so good. This little moment from my classroom illuminates for me how my own experience attending Head Start as a child influences my hopes and dreams for the Head Start students I teach today. While many of us can recall the delight in motor-skill mastery, it’s the so-called ‘soft’-skills I particularly enjoy teaching. I attempt to equip my students with the most crucial skills for life--the ability to give and receive love, to respect others, to speak from the heart, to listen intently, to explore and discover, to fail and always to try again. Teaching these social emotional skills makes me most proud to be a Head Start teacher. Veterans have so much to teach us, about loyalty, respect, honor, duty. The freedoms we take for granted every day: from planting our feet firmly on the ground as we begin our day to enjoying that first sip of morning coffee. Active members of the military, as well as veterans, ensure our little moments of freedom. All they need us to do is listen. The “Got Your 6” campaign hosted a Storytellers event, a sort of “TED Talks” in partnership with NPR’s StoryCorps in New York City. One of the speakers of the event was Eli Williamson, Robert R. McCormick Foundation’s director of the Veterans Program. The event brought together 10 veterans to tell their stories, hoping to start a conversation and empower veterans. The veterans featured in the talkback were from all different walks of life, including a musician, entrepreneur and civic leader. But, all of those who spoke had a military background and were now thriving in their chosen fields. John Oliver, host of HBO’s Last Week Tonight with John Oliver, attended the event. The talks, including Eli’s discussion, were released to the public in association with partners like MTV and HBO. MTV also featured a documentary that followed four post-9/11 veterans on Veterans Day, November 11. Here is the link to watch Eli’s discussion, “Can you see the existential threats?” as well as seven other videos recorded for the “Got Your 6 Storytellers” event this year.